Please give a little bit of background information about Satyros. Matt - Satyros is a postmodern black metal band from Germany, which has released two full-length albums and a promotional EP since creation in 2005. The line-up consists of Andreas (guitars, bass, and programming), André (guitars, backing vocals) and Matthias (lead and backing vocals). 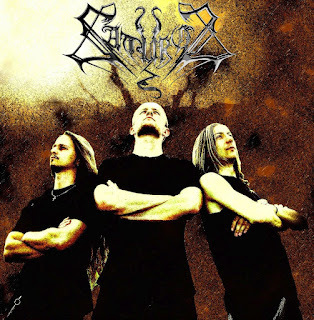 Matt - Satyros was formed in 2005 by the same three guys who still constitute today’s line-up. We were attending a metal festival in summer, as the idea of having a band spontaneously took shape. We wanted to create a homage and tribute to a genre of music which is still important and influential to us: black metal. This approach was mainly seen in the release of our debut album in 2007. Later on, the band longed for exploring the wider fields of extreme metal and thus started to incorporate further elements into their sound. Your latest record, Riven, was released just last year. What direction do you see the band going from here on out? Matt - After the long promotional campaign for Riven, we will perhaps plan a minor release in between, but we will mainly focus on our upcoming third album, which is currently in its final songwriting process. It will fuse the band’s characteristic trademarks with a more progressive overall structure. As it already manifested itself in our past output, Satyros isn’t a group that tends to write the same album twice. The artistic nature of the band will always be something at least slightly different than the one seen on the works before. We will hopefully surprise supporters and all people interested with some new material next year that blends the familiar with new ideas and experiments. Who were the guest musicians who took part on Riven? Do you envision any future collaboration with these people? Matt - All guest musicians listed in the album’s credits are close friends of the band and/or fellow musicians of bands in our region, namely Eyes to Close and Tremors. We could, of course, envision further collaboration with them, as long as a potential co-operation would suit the style of our future songwriting. Regarding their work on Riven, we can say that we are grateful they all gladly joined in straightaway. Their contribution represents a great enrichment to our music on the album, which is why we would again expressly thank all of them for it! Do you think you’ll pick up a drummer along the way? Matt - We are not actively searching for a drummer. However, this doesn’t mean that we wouldn’t consider admitting a new member, provided the candidate’s skills, commitment, and attitude meet the band’s requirements. The compatible person should not only be really into developing our individual soundscapes, but all the more be in tune with the band’s members themselves. What type of lyrical themes does Satyros usually focus on? Basically everything that influences us might possibly end up as theme featured in the lyrics of our songs. Thus, besides life itself being our major focus, almost every kind of art might serve as a further inspiration, be it paintings, outstanding movies, other music, or literature. Mostly, however, our themes deal with human emotions and experiences, corresponding mythological concepts, and philosophical ideas. How do you go about a typical recording process? Does Satyros record songs straight through or does the band ensure the recording is as perfect as possible through alternate takes? Matt - Keeping the recording process in a steady flow would surely be great, but, in reality, it always turns out differently. Our past recordings always went through many episodes including many alternate takes in order to guarantee an outcome satisfying to both the band and listeners. Do you have any plans to release your music physically? Bandcamp is certainly a good outlet, but as far as I know, that’s the only place you’ve promoted your music. Matt - In fact, we have released a minor edition of our albums physically. People interested in receiving a copy of our output may still inquire to purchase on our internet-platforms (see links below). A price list can be found on our Myspace site. Unfortunately, we haven’t found a proper way to manage physical sales yet. On the other hand, most of our supporters seem to prefer the digital download version anyway. Nevertheless, we are thinking about convenient ways of physical release for the future – if demand increases even more, we will think about establishing better shopping conditions by the release of our third album. How do you personally classify your music? I’ve seen black metal, melodic death metal, or a combination of the two posted around the web. Does Satyros play any live shows? Matt - Satyros wasn’t designed as a live band in the beginning, and for several reasons - among others, lack of time due to our day jobs and studies and/or the lack of appropriate session members. There are currently no plans for shows in near future. We always focused instead on songwriting and releasing good albums containing music and art we love than performing live. Who do you think is complete joke in the current metal scene? Matt - I am not familiar enough with the current possible blunders of bands in today’s metal scene to come up with names at this place. Generally, however, I’d say that a joke is everyone who intends to expose himself as a nonconformist rebel against a part of today’s society while he meanwhile keeps sticking to the likewise conservative, stereo-typical rules of another one. Alternatively, which bands do you respect? Matt - I respect every band which sticks true to itself only and keeps releasing really outstanding and honest pieces of art. Fortunately, there still seem to be so many around nowadays that I simply can’t write down a list containing all of them unless I want to bore you guys reading this! What are your hobbies? In other words, what do you fill your time with outside of music? Matt - We have a lot of different hobbies, for example, sports, watching movies, reading, playing video games, and going to parties, just to name a few. We seldom get bored for our activities take almost more time than we actually physically have besides music, jobs, and other stuff. Matt - We would like to thank you very much for the interview! Greetings and cheers to all your readers and everyone who supported us all those years! 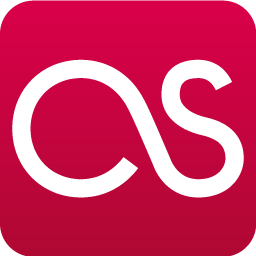 To all those interested in our music, please be aware of the fact that you can download all our releases in a digital FREE version, receivable by following the links listed below. If you like our music, please feel free to join our followers in order to receive actual news from the band concerning new output, info about the songwriting, and further materials! So long, and have a great time!